We first met Émilie Bonaventure in 2009 in Paris, when she was barely thirty years old. Her background was nevertheless impressive already then. Many restaurants, shops and exhibition centres in Paris wore her signature, and several Parisian art or design galleries were trusting her to mount ephemeral decors for their fair exhibitions. After eight years of collaboration and three decors, Modernity's relationship with Émilie has grown stronger and is one of mutual respect, as well as total trust. Meet the magician behind Modernity's fair staging. 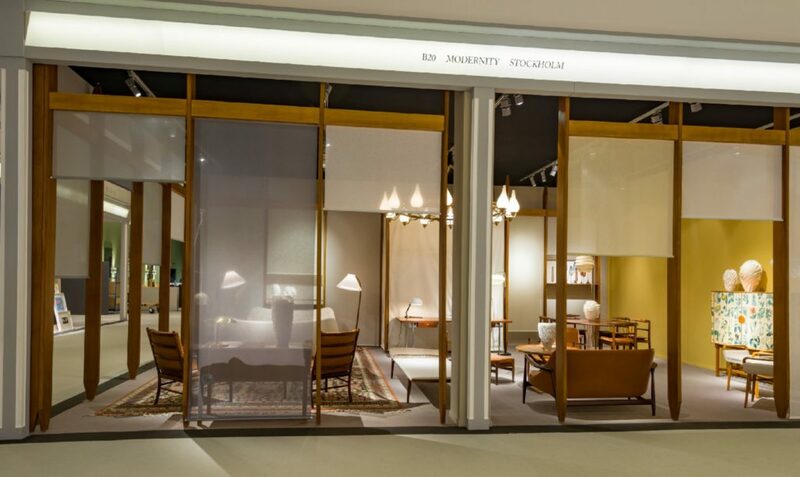 MODERNITY: You have become a major player on the Parisian interior decoration and scenography scenes. What is your background? 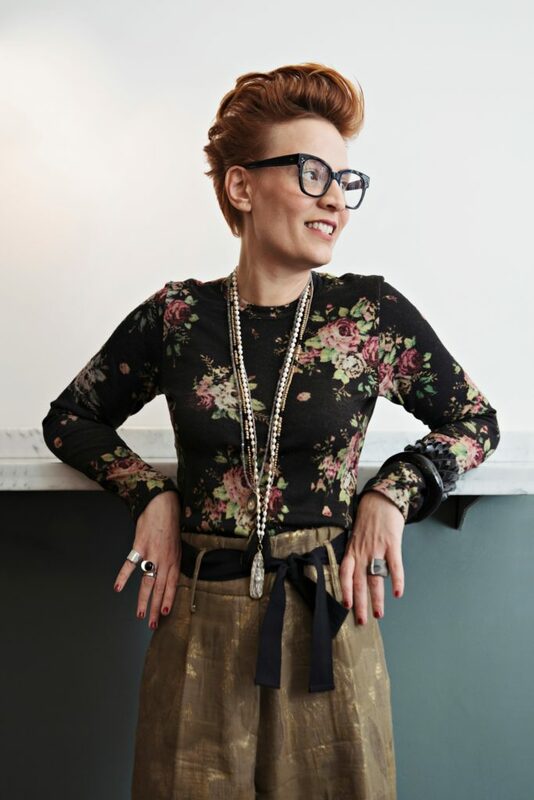 ÉMILIE BONAVENTURE: My dream of becoming a decorator started when I was thirteen years old. I travelled to the South of France in 1987 and the magnificent light there was a revelation to me. It awoke my interest in painting, 19th Century artists and the birth of modernity, three subjects I researched on while I was studying at the École du Louvre and then at university. 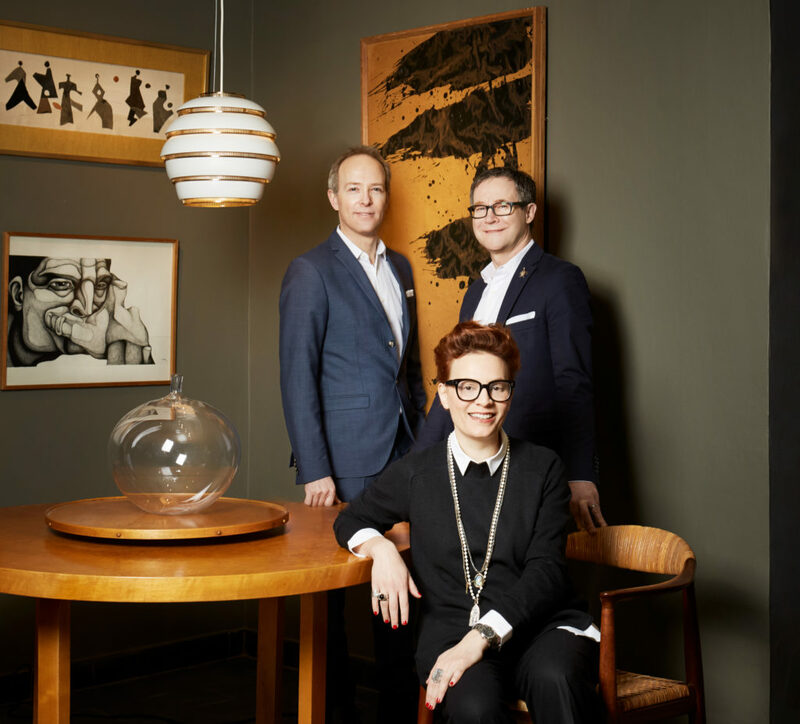 Later I met with Chahan Minassian, Antoine Broccardo and Jacques Lacoste* who allowed me to nurture my passion for objects, for European and American furniture, all from Arts and Crafts to contemporary design. What interests me the most is the dialogue between the objects and their environment. They often tell a story about their owner. I have a passion for design, decorative art, contemporary art, fashion and gastronomy, all of which define the cultural DNA of my studio today. Scenography is a very specific part of a decorator’s work. The job is about lifting the objects and reveal their embedded value, and at the same time arouse the desire to live with them. This very subtle frontier between collection and daily life is a fascinating issue for me. M: You are signing a new stand decor this year for Modernity. Where have you found inspiration for it? EB: This is our third collaboration together. I am signing short-lived decors, which are timeless at the same time. Every time, I try to illustrate the link I perceive between Scandinavian and Japanese architectures. This time, beyond architecture, I have also observed the beauty of Italian design without its mannerism. The LB7 bookshelf by Franco Albini is a beautiful example of this: timelessness of the design and modularity. Japan is still around, with the lightness and transparency of the blinds, which give rhythm to the whole structure. M: What does this decor consist of and what is the atmosphere you intended to create? EB: The decor consists of a slim wooden structure all around the booth. Between each upright there is a blind in light and subtle colors, which allows a glimpse of the furniture and the lighting displayed by the gallery. 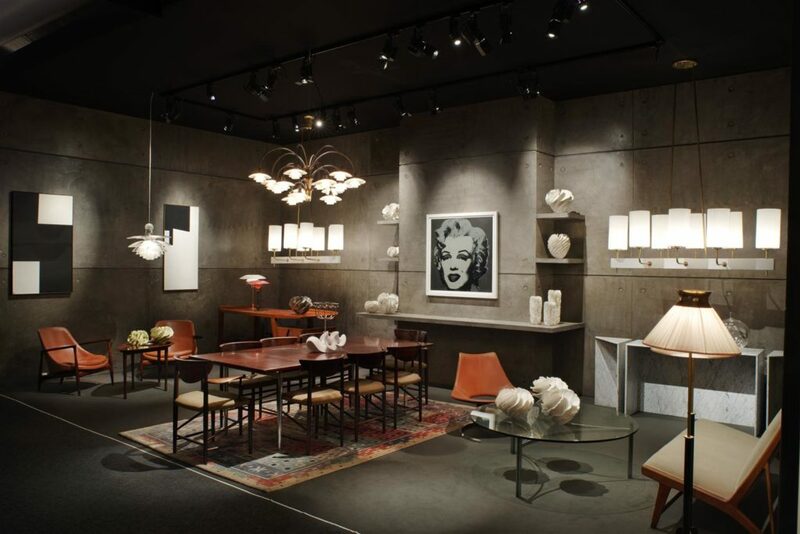 It is an invitation for the visitor to enter an elegant, welcoming and refined space, and even though it is part of the fair, it allows it to stand out in a sometimes too prosaic environment. The decor offers the visitor a more intimate experience with the pieces, without feeling trapped. It literally allows him or her to unveil them. M: What is the expected effect on the pieces? EB: For the pieces, it is a perfect showcase, neutral enough not to overshadow them, and easily adjustable. It gives the illusion of a neatly designed interior, entirely visible from the outside. M: What is the thread between all three decors you created for Modernity? EB: The remarkable echo between Japanese-inspired formal expression and the minimalism and functionalism of Scandinavian design. M: Your collaboration with Modernity brought you closer to Scandinavia and to the Swedish capital. Would you like to share some of your Stockholm discoveries? EB: I was immediately seduced by the light in Stockholm. It’s not the first thing you think about in Nordic countries but I can assure you that the light is incredible. There is water everywhere, which gives it a very special sparkle. I love walking along Stockholm’s streets and parks. I finally discovered the Svenskt Tenn shop, which I only knew from books before, and love everything about it: Josef Frank, Fornasetti, the patterns, colours, the delicacy of objects and materials. Love it all!!! Also, since I have a true passion for gastronomy, I often sing Mathias Dahlgren’s praises, a fascinating and discreet Stockholm-based chef.